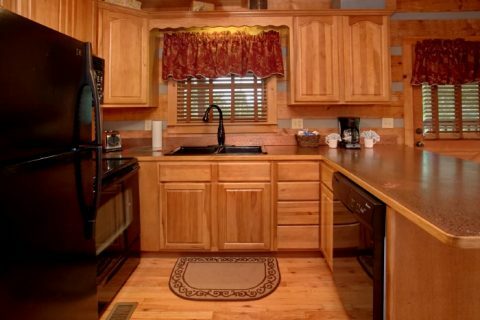 Welcome to "Bearway To Heaven," a cozy, 2-bedroom cabin close to Pigeon Forge that sleeps 4 guests. 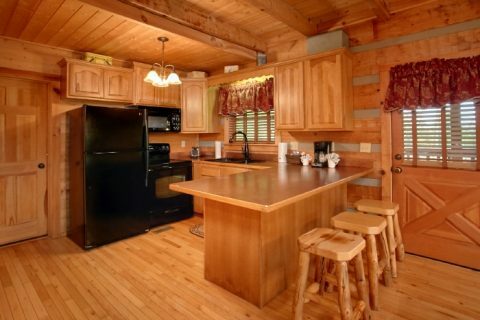 Perfect for families or couples, this cabin enjoys a scenic setting off of Wears Valley Road in the Bluff Mountain area. 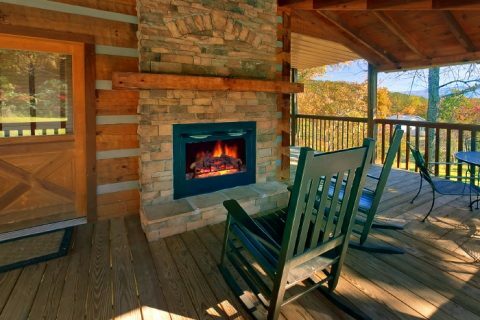 With a great location, gorgeous Smoky Mountain views, and an authentic cabin atmosphere, there's plenty to love about this retreat in the Smoky Mountains of Tennessee. 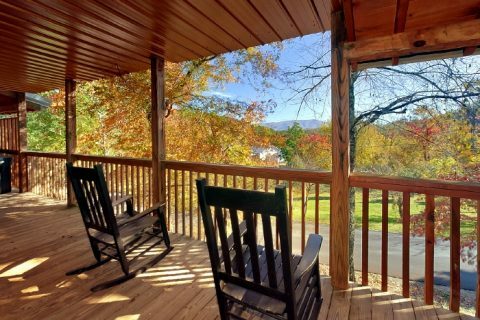 Located only 4 miles from the action-packed Pigeon Forge parkway, guests are never too far from vacation fun. Here, guests will find great attractions like the Island, excellent shopping, and restaurants. 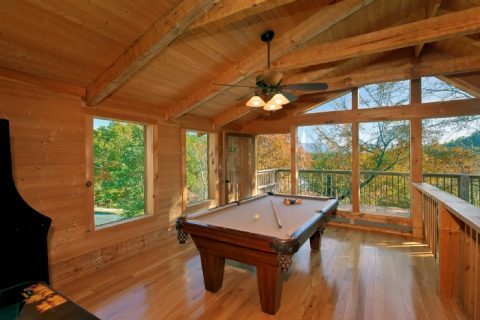 Quick access to the parkway also means guests are only a short drive away from Gatlinburg and the national park via main roadways. 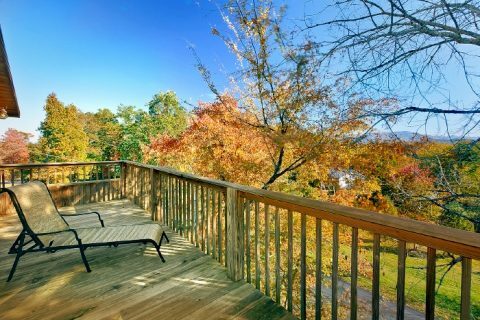 In short, your family or friends have plenty of sights and attractions to see during their stay at their gorgeous Smoky Mountain cabin with views. 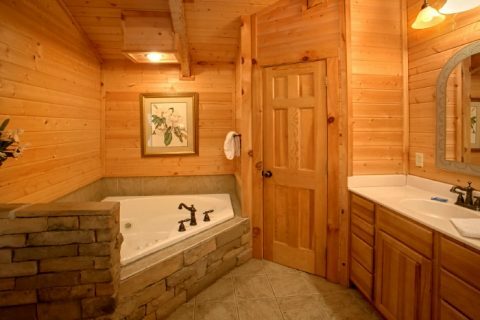 When you return to your cabin, you'll find everything you need for a restful and relaxing getaway. 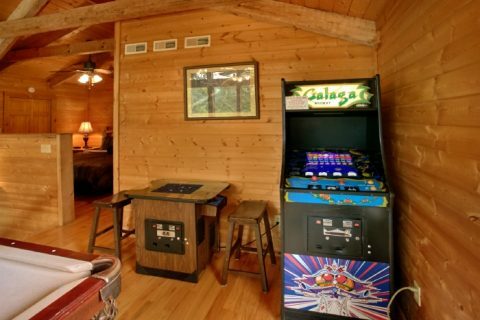 Your Smoky Mountain cabin rental with an arcade game also has a pool table for great cabin entertainment. 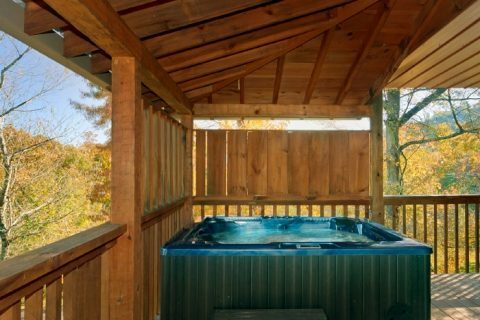 Outside on this cabin's wrap-around porch, you can enjoy a covered deck complete with a hot tub and an outdoor gas fireplace for keeping warm on brisk mountain nights. 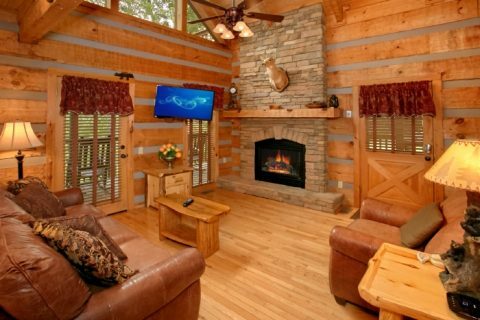 Step inside your cabin's spacious living area with furnishings, a seasonal, stacked stone, gas fireplace, and television set. This welcoming space features large windows to let in ample nature light. For affordable vacation meals, it's easy to prepare dinner in your fully-equipped kitchen with custom copper countertops. The nearby dining area comfortably seats 4 guests. Once it's time to get some rest, you can look forward to a great night's sleep in your cozy private bedroom. 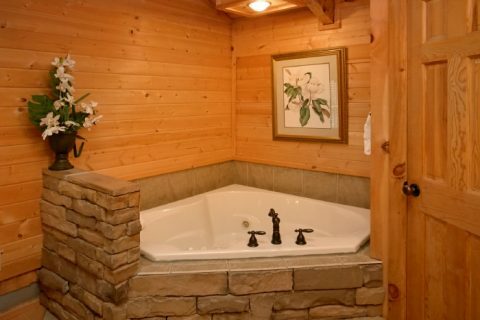 In the loft, there is a king-size master suite complete with a romantic fireplace, jacuzzi tub, and half bath. 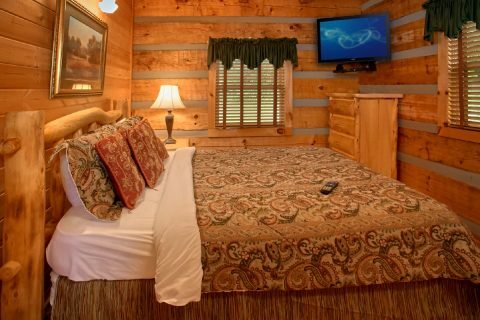 The other bedroom offers a queen-size bed for additional sleeping space and both rooms come with their own televisions. 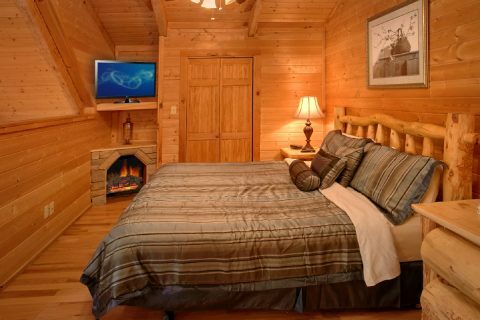 This cabin also comes complete with wireless Internet access for guests to use. 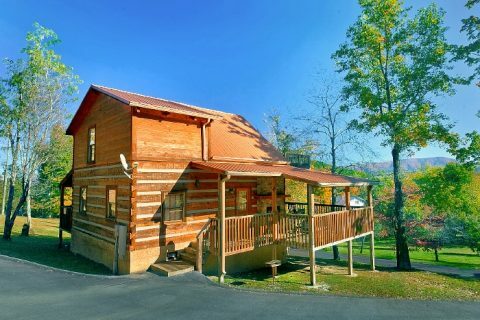 Don't forget when you book "Bearway To Heaven" with Cabins USA Gatlinburg you save with our online cabin discount of 15%! 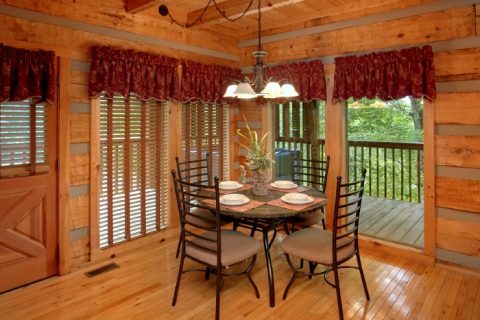 Enjoy a great 2-bedroom Smoky Mountain cabin with views close to great Pigeon Forge attractions.